IHA’s cross country team traveled to Disney over Columbus Day weekend and brought home a first place trophy in both JV and Varsity divisions, the first time that this has ever happened in IHA history! The cross country team is definitely not disappointing Blue Eagle fans since they have been dominating in Varsity, JV, and freshman teams. In Disney, the cross country team was told by head coach, John Downey, to “have their game faces on”, and they definitely did. It was no surprise that the lead runner for the team, Giavanna Tabbachino ’17, came in third place in the race in Disney, leading the Varsity team to the first place spot overall. The team was nothing but smiles the whole weekend as they performed very strong races. They didn’t let the heat of the Florida weather affect their running at all. 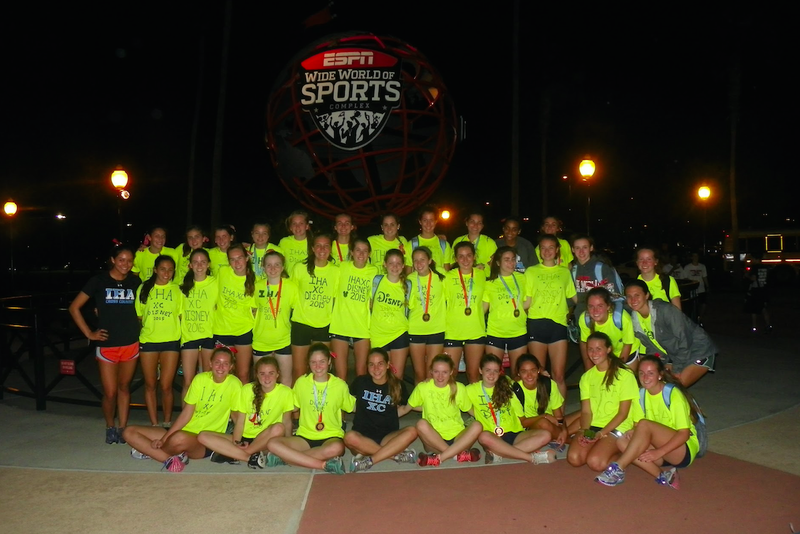 The whole team left Disney wearing their gold medals around their necks and their neon “IHA runs Disney” shirts. They left an impact on just how strong of a team they are. 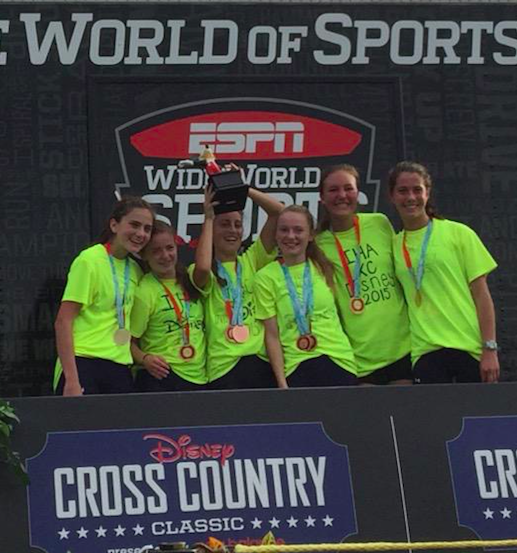 IHA’s cross country team was featured in the Bergen Record for their rock star performance in Disney, and they have not slowed down the pace since they got home! In the League Championship on October 16th, the girls once again brought home first place in Varsity and JV divisions. The team is preparing to race in the Bergen Meet of Champions on October 31st. Do not forget to come and show your plaid pride!